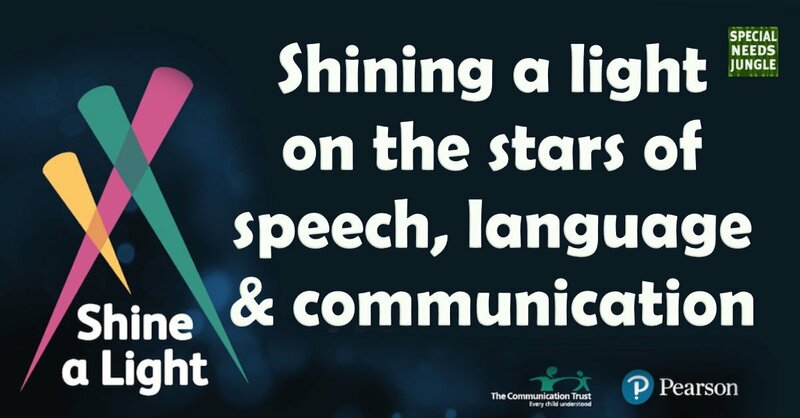 As we have the past two years, we are again helping to promote the Speech and Communication Shine a Light Awards! Chris Hall, Director of Clinical Assessment at Pearson explains here what they're about and how you can enter or nominate. 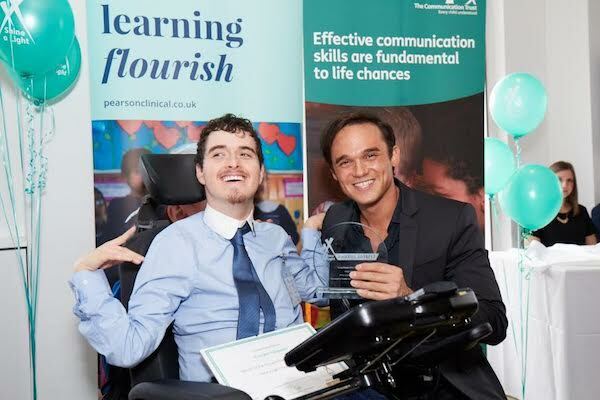 The company Pearson is once again putting the spotlight on the incredible contributions of teams, schools, settings, young people and individuals across England who champion innovative work and excellent practice in supporting children and young people’s speech, language and communication. The flagship Shine a Light Awards ceremony, run in partnership with The Communication Trust, will return in March 2018. It'll be hosted by stand-up comedian, actor and TV writer, Adam Hess. The Awards feature 11 categories, including a new category, the Katie Rough Memorial Award for innovative or excellent practice when working with children and young people affected by Selective Mutism. The Kate Rough Memorial Award - held in honour of Katie Rough who had selective mutism and sadly, died at the tender age of 7 this year. 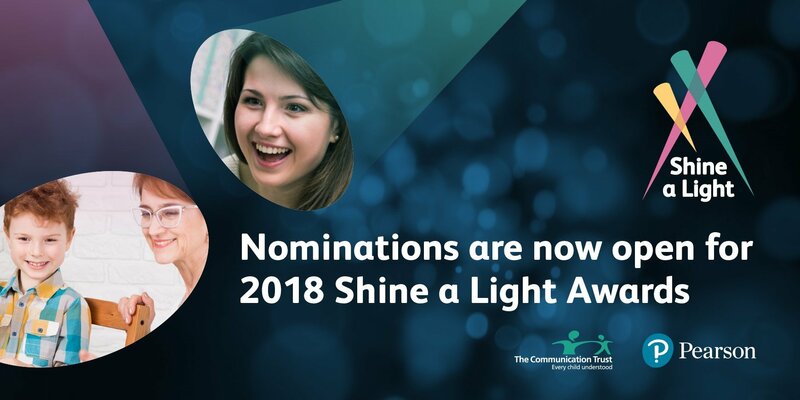 The Shine a Light Awards have grown in popularity since their launch during the National Year of Communication in 2011 (known as the Hello campaign). To date, the awards have celebrated the work of over 120 teams and a wide range of individuals, including young people with severe and complex SLCN. Pearson runs these awards with The Communication Trust to ensure best practice and innovation is celebrated and recognised. The applications they receive every year are incredibly inspiring and it is humbling to witness what is being achieved to help children and young people with their speech, language and communication needs (SLCN). We hope that 2018 will attract the most exciting nominations yet, so take part and get ready to shine! If you would like to showcase what you have achieved - whether you’re a setting, team or individual - then please enter. The awards website is now open for applications and further details on how to apply can be found at www.shinealightawards.co.uk. Applications close at 11:59pm on 12th January 2018.